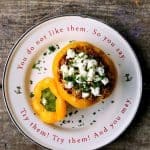 The result was tender peppers stuffed to the brim with a filling of basmati rice and browned ground turkey in a flavourful, tomato, herb, and red wine sauce along with a deliciously healthy amount of baby spinach and creamy feta to tie it all together. Hooray for a meal that fills you up and satisfies without being awful for you!! 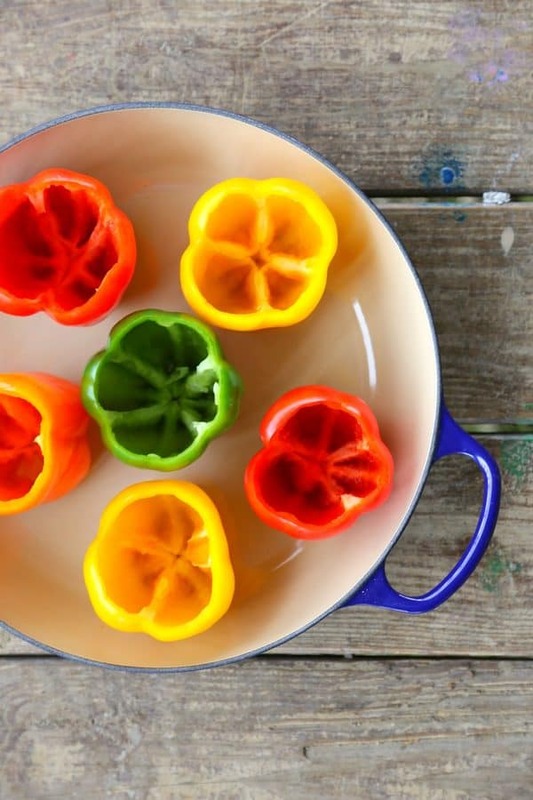 I say multi-colour bell peppers, but you can use 6 of one colour if you want or any combination of red, yellow, orange, and green that dings your chimes. I like the visual of the rainbow in my pan, so I go with all of them. When you slice the thin wafer off of the bottom of the pepper, only take enough so that the peppers stand without wobbling. It is best for the structural integrity of the finished pepper if you can keep from opening the bottom up too far. That way the filling stays inside, where it should be, more easily. If you’ve made The Best Thing Tomatoes, you can substitute an equal amount of them for the tomato paste called for in the recipe. For best results, don’t skip popping the trimmed pepper cap back on top of the stuffed peppers before covering the pan with foil and popping back in the oven. I find this keeps the top layer of rice from drying out. Besides, it’s purdy. Who doesn’t like purdy? Do remember to remove the foil for the last 15 minutes of baking. This allows some of the excess moisture to evaporate. Garnish the finished Lightened Up Greek Style Stuffed Peppers with more crumbled feta and minced parsley just before serving. Tender peppers stuffed to the brim with a flavourful tomato and herb filling of rice, turkey, spinach, and feta cheese. Preheat oven to 350F. Slice a small wafer from the bottom of each pepper to help it stand upright without wobbling. Use a sharp knife to slice away the top of the bell peppers to create a cup. Cut away the seeds from the cap and stem of the pepper and reserve the cap to perch on top of the stuffed peppers. 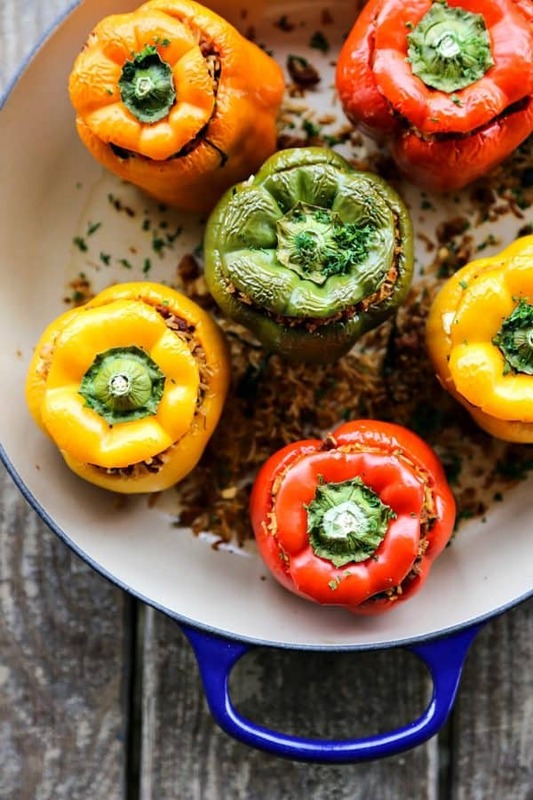 Arrange the hollowed peppers in a baking pan. Bake for 15 minutes uncovered. While the peppers are baking, place a large, heavy bottom skillet over medium-high heat. Pour 1 tablespoon of the olive oil in and swirl the pan to coat. Crumble the ground turkey over the pan and sprinkle in the salt and pepper. Cook and break up with a sturdy spoon or spatula until the meat is nicely browned and has given off its juices, about 8 to10 minutes. Transfer the cooked meat to a rimmed plate or bowl. Tent lightly with foil and set aside. Return the pan to the burner immediately. Add another tablespoon of olive oil to the pan. Reduce the heat under the pan to medium-low heat and stir in the grated onion and juices. Cook for 3 to 5 minutes, or until the onions have softened. Raise the heat to medium-high and stir in the garlic, oregano and thyme cooking until fragrant, about 30 seconds. Stirring constantly, whisk in the tomato paste and cook until the paste is bubbly, has darkened and smells strongly of tomato. Pour in the red wine and raise the heat to high, scraping and stirring until the mixture is smooth and somewhat reduced. Return the browned meat and any accumulated pan juices to the pan and toss until evenly distributed and hot through. Add the baby spinach to the pan and toss to combine with the turkey and sauces. Cook only until the spinach is wilted. Transfer the turkey mixture to a large mixing bowl. Add the cooked rice and feta to the bowl and toss to distribute all of the ingredients evenly. Divide the filling between the partially cooked peppers, gently packing the filling into them. Place a pepper cap on each stuffed pepper. Add 3 tablespoons of water to the pan and cover tightly with foil. Return the pan to the oven and bake for 10 minutes. Remove the foil and bake 15 minutes longer, or until the peppers are tender. Place a pepper on a plate and remove the pepper cap, placing it on the side. Sprinkle some of the remaining feta crumbles over the filling and garnish with minced fresh parsley. Serve hot. 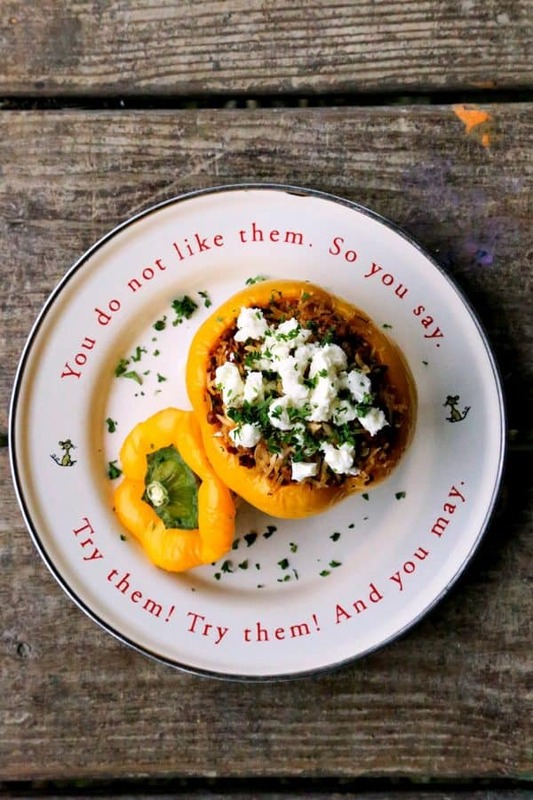 I never met a stuffed pepper I didn’t lust after…and I’m also lusting after that adorable plate! Thanks, Susan!! I’m a stuffed pepper maniac. Why don’t I make them more often? I get the obsession/craving thing too. Dang annoying You would think at this stage of life I should to just make what-ever-it-is after a day or so. This recipe looks great. On the “short-list”. 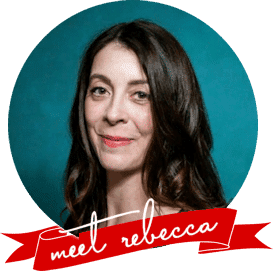 Thanks Rebecca. Ditto. I guess I’m a slow study. You’d think I’d have figured it out by now. Oh my these are delicious! I love your technique for cooking the peppers – they came out perfectly! 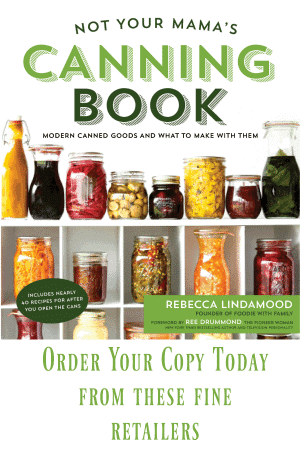 Most recipes, the peppers are either too crunchy or too watery. I really don’t like ground turkey,and am tired of ground beef, so I used veggie protein crumbles. It worked really well for us. Another time I might just use another vegetable. I hear you on ground turkey for the most part. I do like it in here because of all the other flavours going on with it. Turkey needs major augmentation to be good when ground to my mind! I like the idea of veggie crumbles, but I think it would be good with ground lamb, too! Thanks for the awesome feedback! I made these today and they were fantastic! I hope to try this recipe the way it was written some day, but this time I didn’t have red wine on hand and subbed it out for vegetable broth. I also lightened the recipe a little more by using cauliflower rice instead of regular rice. I was really happy with the result so I can’t even imagine how good these are with all the correct ingredients.